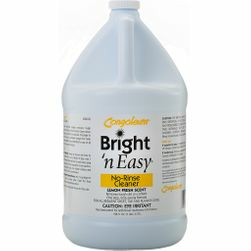 Commercial floor maintenance for vinyl, rubber, linoleum & more. Autoscrub equipment and 3M pads. 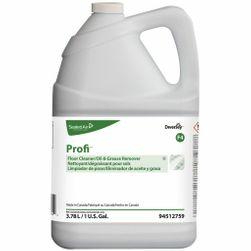 Floor cleaners, finishes, problem solvers include brands Spartan, Diversey, Dr Schutz for healthcare, education, retail, more. 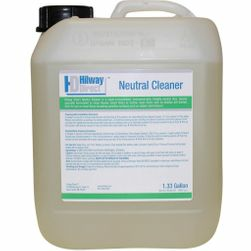 Residential floor cleaners, finishes, mops & more for hardwood, LVT, laminate, tile, carpet and all flooring types. Clean and protect floors in your home with top brands Bona, Shaw, Mannington, Armstrong and more. 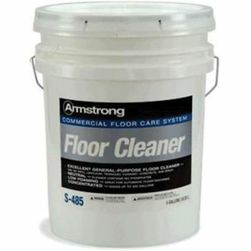 Find your floor cleaning products by the type of floor in your home or business. 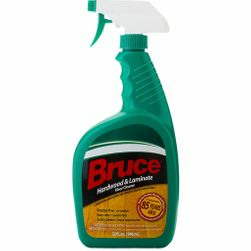 Top floor cleaning products that get the job done right. Among the best in floor cleaning, finishing & all floor care, at 1877FloorGuy. 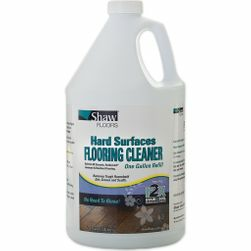 Buy the Best Floor Cleaner for Your Floor! Finding the best floor cleaner for the floors in your home or business facility is based on several guiding factors including brand and type of floor. When you know the manufacturer of your floor and whether it's wood, vinyl, linoleum or another resilient or hard surface flooring type, it becomes easier to select the right cleaning or finishing products for the floor. 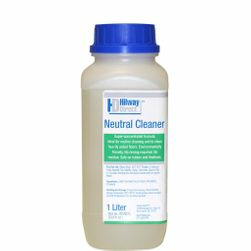 Many flooring brands, including Johnsonite and US Floors, will specify floor cleaners, finishes or cleaner-maintainer products by floor care brand such as Hilway Direct or Diversey. 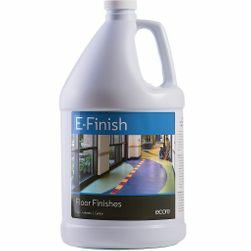 Some flooring manufacturers have their own line of floor cleaning and finishing products, for instance Armstrong Once 'n Done and Ecore E-Cleaner, E-Finish and E-Strip. 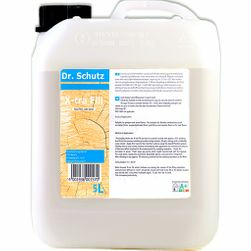 At 1877FloorGuy we believe in the guiding principle that using the flooring manufacturer's specified brand of floor cleaner, floor polish or spot remover is the best course of action. Following directions for cleaning and protecting your floor, as specified by the brand that makes your floor, is one of the best ways to uphold your floor's warranty and keep your floor in the best possible condition. The flooring manufacturer knows what will, and what won't, work when it comes to keeping your floor clean and with the right amount of shine. When you are ready to shop for your floor cleaning supplies, especially for new flooring, it's important to figure out where to buy the items needed to best maintain your floor. At 1877FloorGuy, you will find flooring manufacturer recommended cleaning solutions, durable commercial-grade floor care equipment, and top of the line furniture floor protectors. Bona Professional Series, Shaw r2x and Woca are just a few of the recommended floor care brands for sale at 1877FloorGuy. Items like, microfiber flat mops, the Libman Pro self-wringing wet mop, 2-part mop bucket and wide-angle broom are excellent help when you buy them for cleaning the floors in your house or for routine floor cleaning in an office or retail space. You will also want to look at purchasing heavy-duty felt furniture pads because they help to protect your floor against scratches caused by tables, chairs and other furniture. With more than a dozen styles of furniture floor protectors in the 1877FloorGuy Store, you are sure to find the right fit for most any chair or table whether it's for use at home, in a classroom, or for a conference center. 1877FloorGuy is your one-stop shop for floor maintenance supplies! This is true if you have hardwood floors, luxury vinyl flooring, cork, rubber, bamboo, linoleum, natural stone or ceramic tile floors. 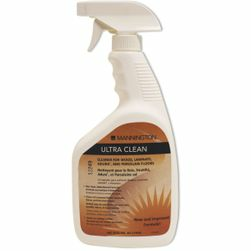 Floor cleaners, sealers, finishes and floor finish removers - by brands including Congoleum, Hillyard, Host, Mannington, Loba, Dr Schutz & Aqua Mix - ship every business day to residential, commercial and industrial customers throughout the US and Canada along with mops, mop pads, floor machine rotary pads and other residential and commercial floor care tools and supplies. No matter the type of floor you have - including wood, laminate, vinyl, carpet - 1877FloorGuy is sure to have the items you need to keep your floor cleaned, shined and looking its best. Have questions about how to use the floor products we sell?Customer support is here to answer your floor care questions during our normal business hours, M-R 9a-5p & F 9a-4:30p EST. Cleaning and protecting floors is what we know best so go ahead and shop by floor type, flooring manufacturer or floor care brand - the choice is yours!